This city’s longstanding motto is “A Good Place to Live” and that is certainly very true. Crystal Lake is also a very good place to visit, dine, shop, play and enjoy all of the amenities of a modern city of over 40,000 which still retains its small-town charm. One of Crystal Lake’s greatest attractions is the sparkling, regional gem, Three Oaks Recreation Area, located on pristine lakes with a beach, hiking trail, boat rentals, scuba diving and much more. Another gem, the charming, historic Downtown is thriving with an array of independent shops and restaurants. The Route 14 corridor is filled with big-name retailers and restaurants, interspersed with many great local specialty shops and dining places. Crystal Lake is host to many festivals and events, including a Farmers Market, the Historic Trolley Tour, Johnny Appleseed Festival, Halloween Handout, Festival of Lights Parade, Breakfast with Santa, Lakeside Festival, Independence Day parade and fireworks at Main Beach, Lakeside Arts Park at the Dole Mansion, and America’s Cardboard Cup Regatta. While there is plenty to do in the city it offers many modes of transportation. The Metra Rail Union Pacific Northwest Line makes it easy for residents of Crystal Lake to get to Chicago. Howl at the Moon is the country’s biggest name in Dueling Piano entertainment. Howl2GO delivers our amazing, high energy show to any venue in the Crystal Lake area. 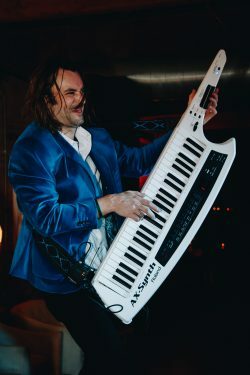 When you bring Howl2GO to Crystal Lake, you can be certain you’re getting the true Howl at the Moon experience, and with that comes the assurance you are booking only the best dueling piano performers in the country. Our fun, energetic performers are perfect for all events anywhere in the Crystal Lake area. Howl2GO Dueling Pianos by Howl at the Moon brings only the absolute best entertainers to your event. Whether you’re planning a corporate event in Crystal Lake, a wedding or private party at your home, we’ll deliver customized entertainment leaving you and your guests dancing and singing along all night. We are the first choice for all types of school, church and charity fundraisers and we ensure all our songs and material is suitable for everyone in attendance. Telling your guests in Crystal Lake that Howl at the Moon is providing the entertainment, is a sure fire way of attracting more people to your event! Howl2GO is the only dedicated Dueling Pianos company in Crystal Lake and our team works tirelessly to ensure your event is perfect. Our production team will deal directly with your Crystal Lake venue and, in conjunction with our Wedding Specialist, sales director and our amazing piano players, create a customized event just for you. Our Howl at the Moon musicians will take you guests’ requests live just as they do in one of our many nationwide venues. We are a perfect choice for your wedding – we keep numerous couples in Crystal Lake and their guests dancing all night, as well as taking care of all your ceremony, announcements and special family dance needs. Don’t risk booking a local fly-by-night company that may not even still be in business when your wedding date comes around, nor one that hires freelance players. Howl at the Moon has been rocking since 1990 and our reputation precedes us.